Country Enough EP Available Now! KARLI LIVE @ DOUGLAS CORNER CAFE! Friday January 15th, 6pm at Douglas Corner! Don’t miss Karli, in her debut show of 2016! Karli will be sharing the stage for a 2 hour writers round with the great Joie Scott and Josh Phillips! It promises to be a night of music you won’t want to miss! Karli LIVE @ Douglas Corner!! Thursday, December 17th, 6pm at Douglas Corner! Don’t miss Karli, in a 2 hour writers round joined by the great Joie Scott and Josh Phillips! It will be a night of music you won’t want to miss! 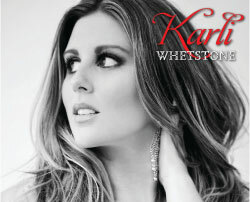 Karli LIVE Friday, December 4th 9pm! Don’t miss her final show in Ohio for 2015! Yankee Bootleggers Saloon’s doors will open at 8pm! $8 cover charge! See you there! Don’t miss your chance to see Karli live!! Along with Joie Scott, Josh Philips, and Jordan Mitchell, Karli will be playing at the one and only Douglas Corner Cafe this Friday, October 23rd, from 6pm-8pm. Hear songs from her not yet released EP in person!